*This episode is sponsored by Ethada, your one-stop shop for high quality African and Caribbean wedding suppliers. https://ethada.co.uk/ ___ [Adzvice For You] In this wedding special, Ade and Bonita are joined by two fellow podcasters in Audrey (Ghana's Finest from @TheReceiptsPodcast) and Ogaga (1/2 of #20SomethingPodcast). The guys discuss the never-ending TL topic that is dating, proposals, pressures to get married, compromising, cohabiting before marriage, planning the wedding, pros and cons of wedding planners, what happens after the wedding and much more). 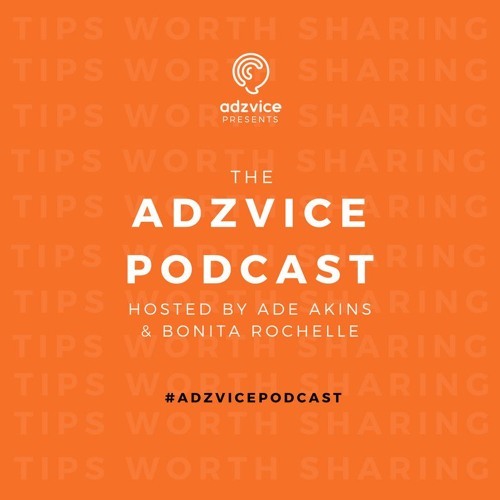 Discover more at www.adzvice.com and use the hashtag #AdzvicePodcast on social media.